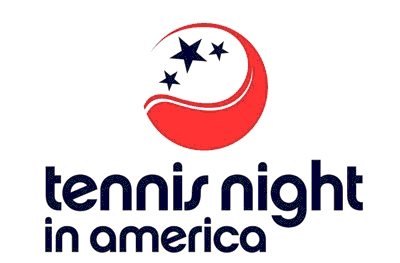 USTA Youth Registration/Tennis Night in America events have a huge impact on driving youth tennis participation for spring and summer tennis programs. Now the USTA wants to make sure you have all the tools and resources you need to make your event a success. Download the USTA Youth Registration Event Guide here. The even guide will walk you through five quick and easy steps to help you organize your event, bring in players and parents and sign them up for your programs. Included are customizable marketing and press materials and other USTA tools to make your event a success. Sign up for a Youth Registration event now and download customizable flyers, posters, print ads, web banners and press releases that will help you bring in larger crowds and increase your program sign-ups. For those that sign up, the USTA will be sending you a Youth Registration Event Pack valued at over $800 the week of Feb. 15, 2010. The pack includes printed banners, table tent cards, door decals and youth hats. This year the USTA will also be conducting a nationwide online sweepstakes that will continue to help drive youth program registrations. The winner will be announced during the BNP Paribas Showdown for the Billie Jean King Cup, live from Madison Square Garden airing on ESPN2 from 9-11pm ET on Monday, March 1. Click here to download the USTA Youth Registration Event Guide.